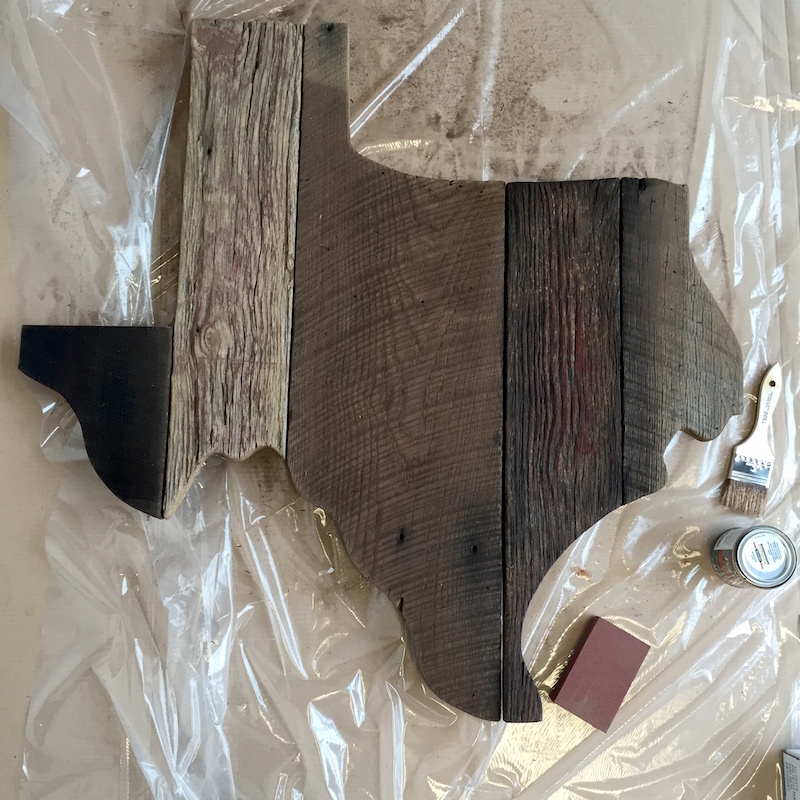 I found an old wood Texas sign at the Austin Antique Mall, and the inner-most parts of me got very excited about the ideas rushing through my head. 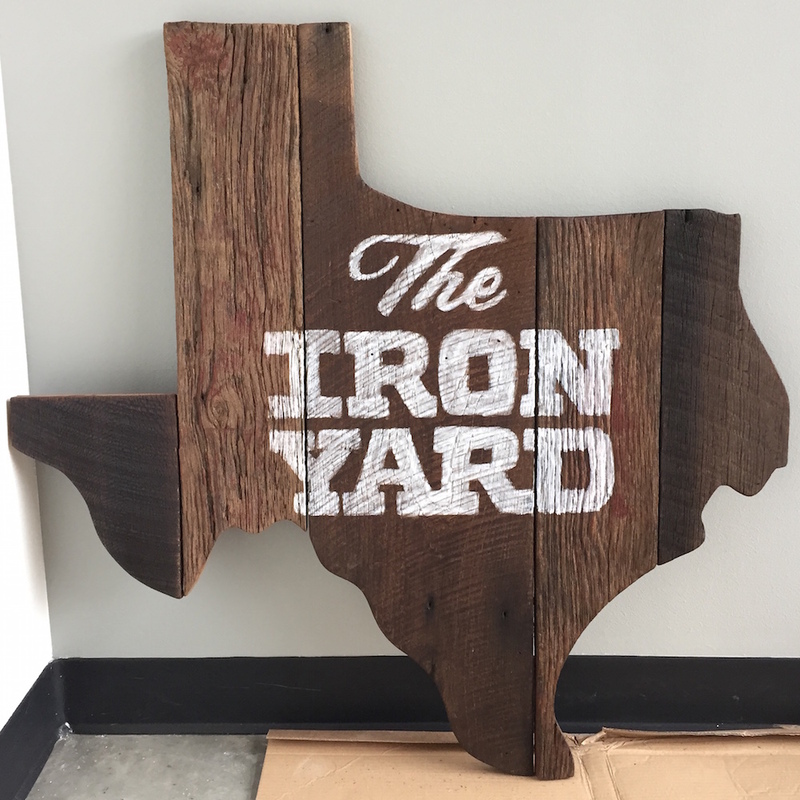 I bought the sign and took it into the second space we were setting up at Penn Field for more Iron Yard classes, including mine, which was starting on Monday. 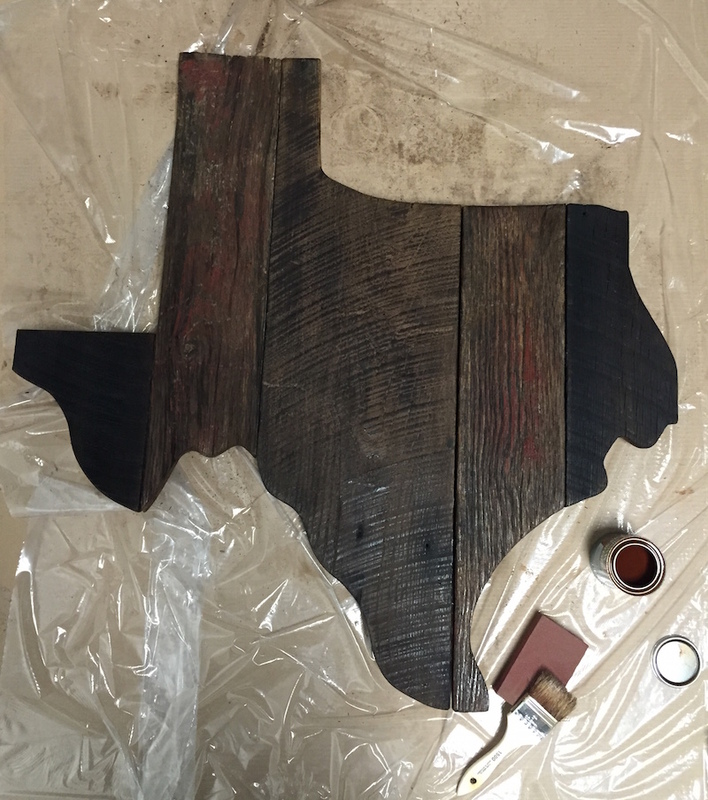 I sanded down the five panels of wood, including the corners and stained them with a pecan finish. I set up my plan in Illustrator and used the classroom project to project the idea onto the sign itself, which leaned up against the wall. I outlined each letter with a white oil paint pen and then filled in the strokes. Finally, I used my coworker, Justin’s badass collection of tools to drill a few holes and mount this baby! Check out the steps and a short time-lapse, below.